Representative Honours: Northern Ireland: 5 Full Caps (1973), 4 Amateur Caps (1969-1970). Club Honours: (with Glentoran) Irish League Champion 1969/70, 1971/72; City Cup Winner 1969/70; Co. Antrim Shield Winner 1970/71; (with Linfield) Irish League Champion 1977/78, 1978/79; Irish Cup Winner 1977/78; Ulster Cup Winner 1977/78, 1978/79; Co. Antrim Shield Winner 1976/77. Manager of the Year 1978, 1980, 1982, 1983, 1985, 1986, 1999, 2003. Co. Antrim FA Senior Shield Personality of the Year 2000/01. A tough-tackling wing-half with Ballymena United in the late ‘60s, it was a move to Glentoran in 1969 that allowed Roy Coyle to make his name. A much decorated three seasons at the Oval brought speculation about a move to England, but it took Coyle’s own initiative to finally clinch a move across the Irish Sea. He requested that Glentoran allow him to go on trial to Sheffield Wednesday, and so impressed was the Owl’s boss Derek Dooley that he offered Coyle a contract in March 1972. It wasn’t the first time he showed such commitment to his career, he had earlier quit his job as a coalman to devote himself full-time to football, but on the part-time wage Glentoran were paying him. 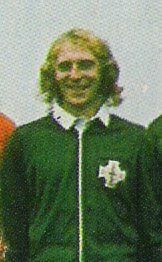 The 1972/73 season saw Coyle play twenty-four Division Two matches, and earn himself a place in Terry Neill’s Northern Ireland squad, starting in an impressive 1-1 draw with Portugal in March 1973. Twenty-five club appearances the following season saw Coyle maintain his place in the Northern Ireland squad, but he generally appeared from the bench. 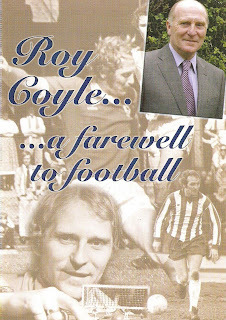 Early in the 1974/75 season, Coyle stepped down a division to sign for Grimsby Town. He added both bite and accurate distribution to the Mariner's midfield in a season in which he scored just once, a 25 yarder against Watford. The surprising thing about Coyle’s return to Northern Ireland in November 1975 was not just his destination, Linfield, but that he was appointed as player-manager in succession to ex-Northern Ireland international, Billy Campbell. It was the beginning of a thirty year management career in which he would become the most successful manager ever in Irish football. 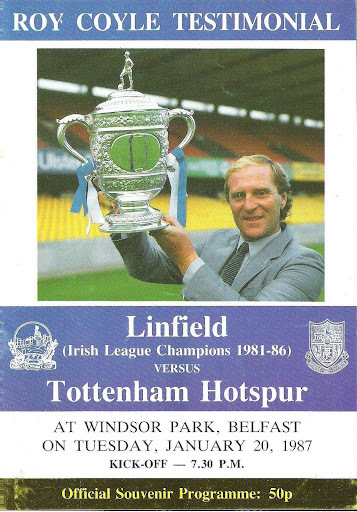 Coyle ended his playing career in May 1980, having added many honours to his collection, including the Irish Cup medal that had eluded at Glentoran. In a management career that has taken in Linfield (1975-1990), Ards (1990-1991), Derry City (1991-1993), Ards again (1993-1997), Glentoran (1997-2006) and Newry City (2006-2007), Coyle has claimed fifty major honours and eight Manager of the Year titles. In April 2010 he returned to Glentoran as director of football, adding experience and the necessary UEFA coaching licence to a management team headed by the inexperienced Scott Young. When Young resigned in January 2012 Coyle stepped in as caretaker manager, a role he again fulfilled following the dismissal of Eddie Patterson in October 2015, and for a third time in August 2016 after the resignation of Alan Kernaghan. Summary: 1(5)/0. Won 2, Drew 3, Lost 0.